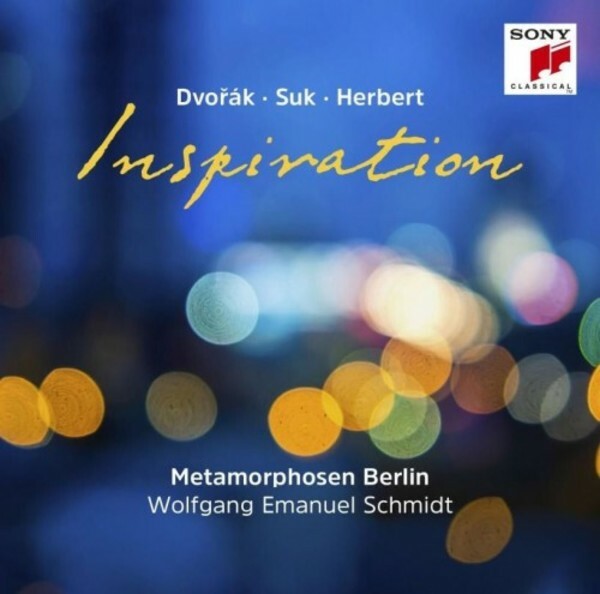 The debut album of the string ensemble Metamorphoses Berlin, under the baton of its leader Wolfgang Emanuel Schmidt, follows the basic idea of 'inspiration' - in this instance, inspiration as the explicitly mutual, creative interaction between Antonin Dvoř�k, Josef Suk and Victor Herbert. This triangle of late romantic composers combines more than a stylistic kinship: Dvoř�k was Suk's mentor and father-in-law at the same time. In this attractive programme of music, one can explore these musical and emotional connections, for example, the similarity between Dvoř�k and Suk's melodious Strings Serenades, and indeed, Suk�s 'Love Song', which he dedicated to his wife. Herbert, one of the most famous of American composers, was a highly esteemed colleague of Dvor�k. Originally written for the piano, Herbert�s 'Character Pieces for Strings' contain a wealth of melody, which the light-heartedness of Dvoř�k and Suk�s �Abendmusik� complement perfectly. The dreamy, inspirational music of these three composers is perfectly encapsulated by Metamorphoses Berlin�s performance.